Landers Chrysler Dodge Jeep Ram of Norman, Oklahoma, has an awesome selection of the Dodge Grand Caravan available! 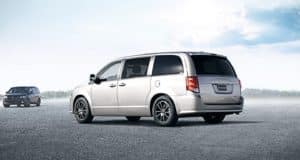 If you’re looking for the ultimate minivan for your busy lifestyle, then look no further — the 2019 Dodge Grand Caravan is here! Featuring three rows of plush seating, tons of fun tech to make driving a little more fun and important safety features to protect the whole family, the all-new Dodge Grand Caravan is waiting patiently for you to take it for a spin. With so many exciting updates, the newest version of the Dodge Grand Caravan will have you stoked to hit the road — so let’s get up close and personal with this upgraded new minivan, shall we? Click here to view our available Dodge Grand Caravan inventory now! Design: With five different color options to choose from, personalization has never been more fun with the all-new Dodge Grand Caravan. Beautiful colors like Octane Red, White Knuckle, Billet, Black Onyx and Granite Pearl give each new Dodge Grand Caravan its own unique look. Deeply tinted sunscreen glass arrives standard and helps block out the sun’s rays while keeping everyone cool and comfortable inside the Grand Caravan, while the available Class-Exclusive Stow N Place Roof Rack System makes it easy to bring along all your necessary adventure gear. Does winter tend to get you down? In the new Dodge Grand Caravan, you’ll receive heated power exterior mirrors that look not only look super-stylish but also stay ice- and frost-free all winter long. And lastly, the trademark crosshair grille across the front will always remind you it’s a Dodge. Technology: What’s a road trip without exciting tech to help pass the time? In the all-new Dodge Grand Caravan, newly updated technology quickly becomes the star of the show. For starters, USB ports smartly located around the Grand Caravan make it easy to charge any of your devices no matter where you’re seated. Wireless headphones also make it easy for passengers in the rear to enjoy a movie while passengers in the front enjoy music on the radio simultaneously. Not to mention, three-zone automatic temperature control ensures that everyone has control over their air regulation for the most comfortable ride possible. Choose to activate SiriusXM radio in your new Dodge Grand Caravan and you’ll have access to over 130 commercial-free radio channels for hours upon hours of listening enjoyment. Performance: Some may assume that minivans can’t have impressive performance because of their size. Well — we’re here to tell you that that’s not true, and the all-new Dodge Grand Caravan is a prime example of a minivan that packs a powerful performance punch! Under the hood of the all-new Dodge Grand Caravan lies the highly-awarded 3.6L Pentastar V6 Engine. This powerhouse engine gets up to 25 miles per gallon on the highway and can generate a staggering 283 horsepower! This mighty powertrain also enables the 2019 Dodge Grand Caravan to tow up to 1,500 pounds easy–so you’ll never have to worry about what to bring on your next vacation. Have you been dreaming of a Dodge Grand Caravan? 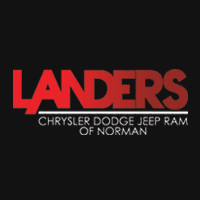 Now’s the time to try one out–click here to visit Landers Chrysler Dodge Jeep Ram of Norman today!